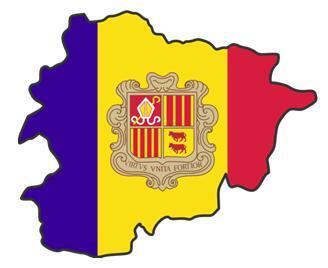 The National Symbol of Andorra is the Isard. So where, what, why, when, and how is Andorra? With these sites that I link to below there is now ample information without needing to repeat all of the facts and figures here leaving me to concentrate on “simply residency” and no detailed distractions for you. Once you have visited these external links please do pop back to me for the all important residency part as this is really the only website updated almost daily and specifically for potential applicants for residency. The external links will open in a new webpage! Tradition holds that Charlemagne granted a charter to the Andorran people in return for their fighting the Moors. In the 800s, Charlemagne's grandson, Charles the Bald, named the Count of Urgell as overlord of Andorra. A descendant of the Count later gave the lands to the diocese of Urgell, headed by the Bishop of Urgell. In the 11th century, fearing military action by neighbouring lords, the bishop placed himself under the protection of the Lord of Caboet, a Spanish nobleman. Later, the Count of Foix, a French noble, became heir to Lord Caboet through marriage, and a dispute arose between the French Count and the Spanish Bishop over Andorra. In 1278, the conflict was resolved by the signing of an agreement that Andorra's sovereignty be shared between the Count of Foix and the Bishop of La Seu de Urgell of Spain. Finally, in 1607 the Count of Foix became a title incoporated into the duties of the President of France. Hence Andorra became and still is the only co-principality in the world and to this day matters that may infringe on the Constitution are referred to the Tribunal of the Co-Princes, the representative body of the Bishop of Urgell and the President of France. Andorra has its own Parliament that can since the Constitution in 1993 unilaterally make its own laws except those that affect the exterior. those of you that have seen a blue star incorporated represents the dream of an independent Catalunya as to the right, the “Estelada Blava”. This will not appear on your Andorra residency card! 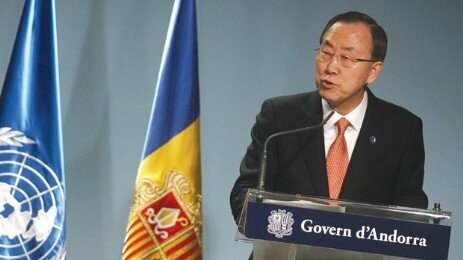 It's not often that Andorra makes it to the world headlines!! Nestling in the Pyrenees mountains, the lowest point of Andorra is 860 m above sea level rising to its highest point of 2,941 m, the peak of Coma Pedrosa. It is ski resort from December to mid-April and a summer hiking and mountain biking destination by summer. At a comfortable altitude there is low humidity and abundant sunshine being above the prevailing systems that blow across Europe from the Atlantic. The air pressure is markedly lower than at sea level (about 870 mb) providing great high altitude training for professional sportsmen for category C of passive residency. It can also provide lower tolerance to alcohol for the skiers! Most of the terrain is mountains which means that buildable land can be expensive and beware of the retaining requirements for plots that are on slopes. What is not mountainous is primarily forested in fir trees with some arable land that is still keenly farmed. Tobacco is still grown here but under EU quotas. The climate is temperate, cold and dry in the winter and warm and dry in the summer. The months in between can produce some rain which rarely extends into more than a several days. There are two points in Andorra way up on the ridges where you can put one foot each into France and Spain and reach down and touch Andorra, a useless fact, not yet in Wikipedia ! 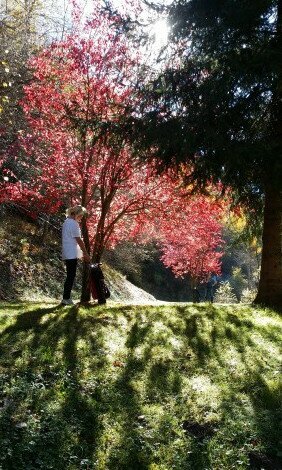 Many people ask about golf in Andorra. I am pleased to say that there are 3 beautiful 18 hole golf courses within an hour from Andorra and Andorra itself also has 2 very different pitch and putt courses where they hold major international events, as well as the highest course in Europe at Soldeu ( 9 holes) - but use a buggy!! !.